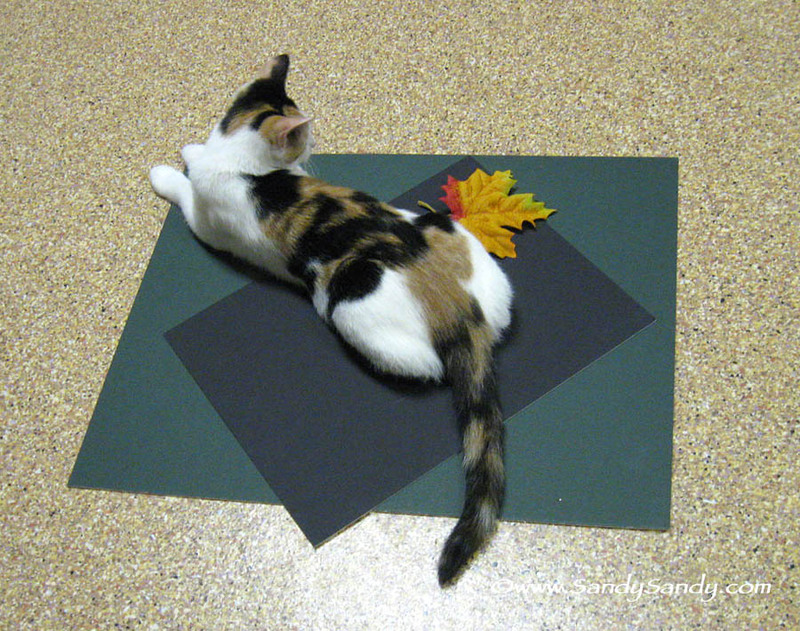 *SANDY SANDY ART*: Announcing A Fall Giveaway! have been helping me decorate and get into the fall spirit. And they were and so I did. Information about each species is on the backing board. I am a subscriber who'd love to win one of these. You are in, Vicki! Good luck! We are building and have built our geodesic dome Home here in New Mexico. Totally off the grid and love it. A dome has 5 sides and the first winter one of the walls of 5, a future doorway, had just double plywood insulation and paint between us and the weather. But the whole dome has tar paper added to that, so the paper came down over the doorway about a foot to help repel the weather. The very first spring we added our much loved, double sliding Pella window, craigs-list special, to that doorway. We were so excited to peal away that old tar-paper that when something flew out so very quickly, we both jumped back and watched as a bat flew out and down through the 1st garden. We felt totally blessed. That a bat had taken up residence in our very home was just thrilling. We are soon to put up a bat house so they will feel welcome anytime. And that's just one of my bat stories. I sure hope it puts me in the running. I do love bats. Wow CheyAnne, what a great story. Thanks for sharing it with us here!! Your home sounds wonderful and I bet these prints would look awesome on your wall. Good luck and thanks again!! 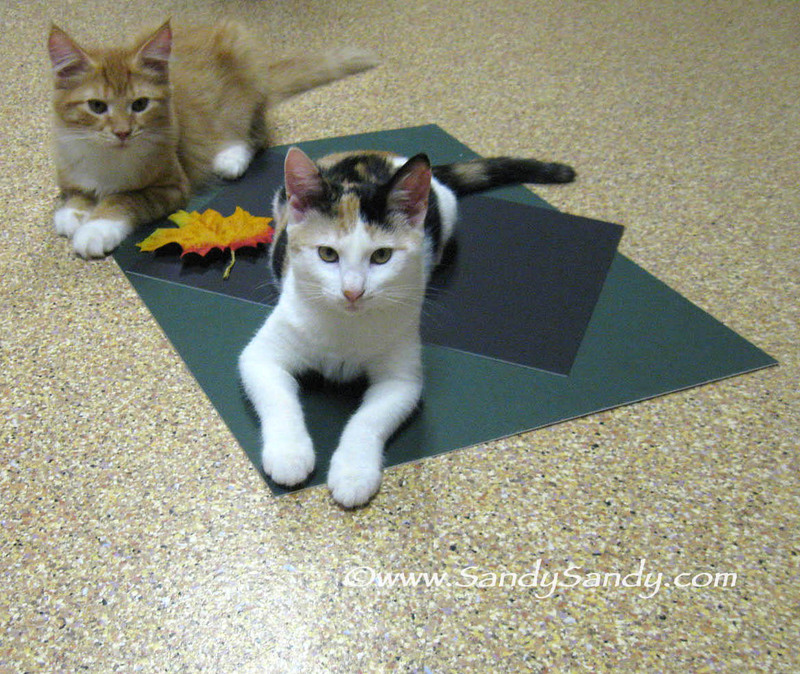 Sandy, the kittens are such excellent assistants, they helped you set up the giveaway purrfectly! 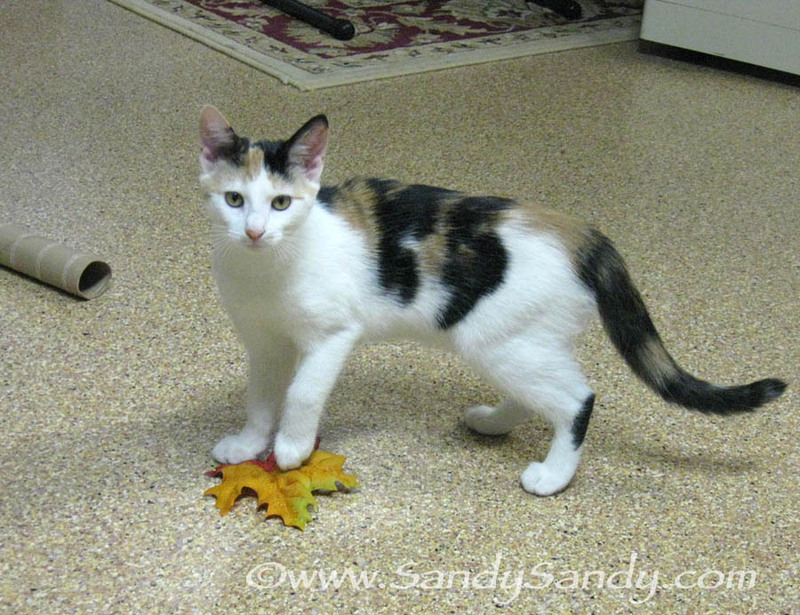 Opie looks a lot more grown up; Princess Cutie Pye has a regal look to her! What a great giveaway...any art done by you is a fabulous gift. But at this time of year, with Samhain/Halloween "creeping" up on us, these two beautifully and artfully executed bats would definitely add to the atmosphere. Really love the colors you have used. I am a follower and would love to have my name added to your giveaway. Thanks for an opportunity to win some of your art work. Hugs and purrs to you and the sweet kittens! I really appreciate your kind words and your continued friendship, Robin!! Thanks so much for mentioning this giveaway on both of your wonderful blogs! You are most definitely entered!! Good luck! Hugs and Purrs back at ya! You are entered Akasa! Thanks for your nice comments. Please enter me in your awesome Fall Giveaway! A Warm Welcome and thank you, thank you, thank you Kim! You are in (3 times)! 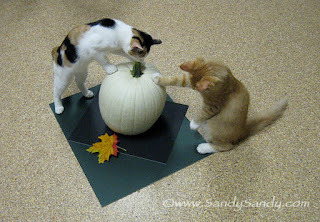 Hugs and Purrs, Sandy and the Kiddies. hi sandysandy! i love those snaps and the bats! they're not my favorite creatures but you make them endearing and cute. thank you so much for your comments on my blog. beautifully written and so very helpful. you have no idea how they help. sending you a heartfelt thank you and lots of love. I recently started to follow your blog and your prints are just amazing. I would love to be entered. Thanks so much for doing such an awesome giveaway. Thanks for following, entering my giveaway and for your nice comments! Nice to meet you. 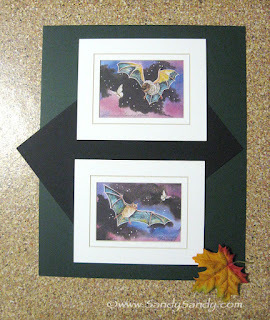 BTW the bats are lithograph prints but all four of the designs I posted yesterday (to sweeten the pot) on 9/10 are one of a kind original watercolors, not prints. Good luck! I left a comment on the main screen, but I love your work so much, I want to cover my bases! 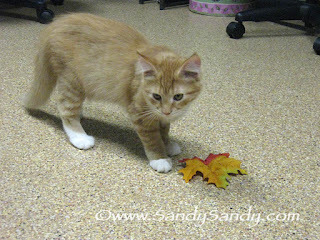 I've shared on FB, google +, and my blog! Thanks so much Angel!! I really appreciate your enthusiasm! !